This fifth episode of Collective Wisdom is focused on how to build a brand on a startup’s budget. 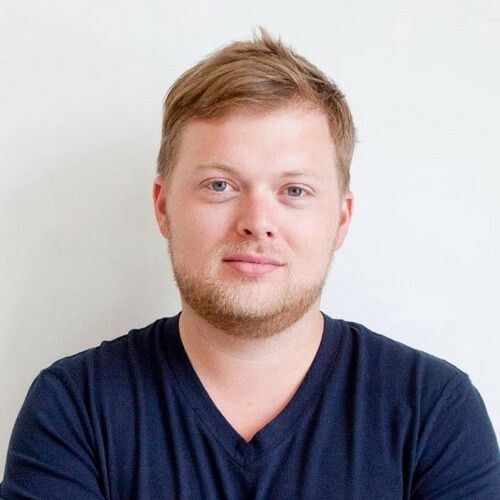 JB Osborne has designed logos, devised naming strategies, and helped a wide variety of startups put their best foot forward from Foursquare to BirchBox to Casper to Tyra Banks. In this episode he explains why startups should invest more in emails and photography, how to best partner with a creative firm, and why you shouldn’t be afraid to “outsource” your brand. Hi. 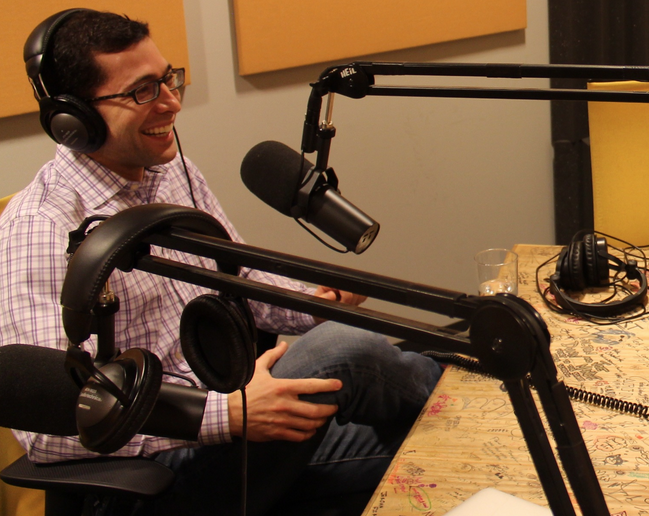 I’m Micah Rosenbloom, host of Collective Wisdom, the podcast where we interview founders, investors and tastemakers to help you uncover tips and tricks that will transform your startup from tired to wired. I’m a venture capitalist with Founder Collective, an early stage VC firm that has invested in companies like Uber, Buzzfeed, Hotel Tonight, and Coupang. Our guest today is JB Osborne. JB is the co-founder and CEO of Red Antler, a design and branding agency that has helped tech startups like Foursquare, eCommerce companies like Casper and Birchbox, and even celebs like Tyra Banks make their mark, trademarks at least. JB Osborne, Co-founder/CEO of Red Antler. 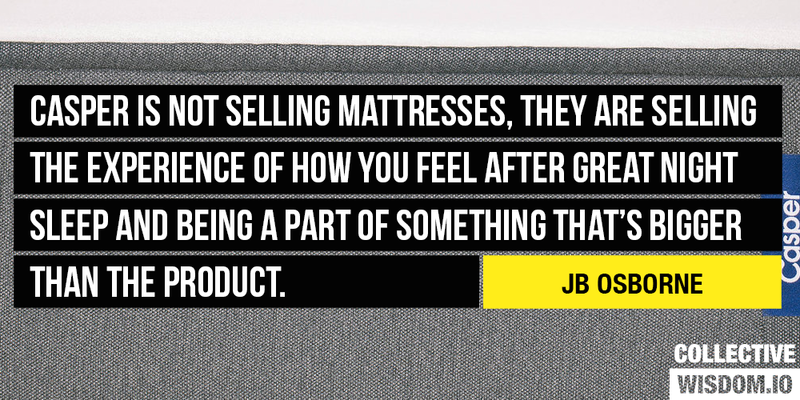 We’re going to talk to JB today about how to think about branding in the early days of your startup, how to tell the difference between premier designers and the rest of the guys and how to make an object as mundane as a mattress, a must own object for millennials. Micah Rosenbloom: JB, thanks for coming. JB Osborne: Thanks for having me, Micah. MR: I’d love to hear a little bit about how you got into the branding business. I know you started at Saatchi & Saatchi and I’m picturing a Mad Man-esque scene. Is that what it was and you wanted to leave? Tell us about how you got into this in the first place. JB: Yeah, absolutely. Starting my career in advertising. I learned a lot about how big companies spend a lot of money to promote products. Was it like Mad Man, yes in some ways unfortunately not any martini launches that I found my way into but definitely experienced some of the politics of the different departments and you’ve got your Pete Campbells and you got your Don Drapers. What I ultimately saw as an opportunity was helping people who were trying to do new things, leverage strategic insights thinking about consumers, creating something that tells a story. Taking those skills from a space where it’s about selling more of something that already exist and applying it to launching new and disruptive things. MR: What inspired the name Red Antler? JB: That’s a great question. When my partner Emily and I thought about what we wanted to stand for and why people would be working with us it was all about growth. Everyone wanted us to help them grow something and through the power of Wikipedia. Emily found that antlers have some of the fastest growing cells in the animal kingdom and possibly the fastest but I’m not a scientist. Red Antler is really just an embodiment of the idea of rapid growth. Need help defining your brand? Reach out toRedAntler. MR: How do you guys define yourself? Is it branding? Is that the right moniker for what you do? Is it a branding agency? Is it creative graphics? How do you frame your business? JB: Yeah, it’s really different. I think something that a lot of companies we work with struggle with is how do you talk about something when you’re doing something new. When you call it something new people don’t know how to think about it and when you call it something that is relevant to what they do know that can be helpful but also puts you in a box. We struggle with that a lot because while we are a branding company, the reality is we do a lot of things that a typical branding company doesn’t do. That being thinking about how the brand comes to life in the world across digital experiences, physical experiences, marketing content activation. Something that I think about a lot is the word “agency.” It’s a really tricky word. It comes with a lot of baggage. I think people especially founders and investors as well tend to have a mentality that agency is a dirty word like you don’t want to work with agencies like they are going to try to screw you over, they are going to try to make money off of you, they are not going to do something in your best interest. That’s something that I think we’ve tried to figure out how to navigate away from that and not be an agency but really be a partner with the companies we work with which might sound a little like BS. I think we try to actually live it and remove some of the objectives and agendas that are inherent for creative businesses in the creative industry awards thinking about industry acclaim and recognition and the world of pitching and all of that. We try not to play that game. MR: Tell us about some of your clients. JB: Yeah, we work with businesses across all different categories, consumer, enterprise and everything from fashion and beauty, food and beverage, publishing, education, finance, healthcare, security. I think across the board we wind up working with founders and teams that believe in the power of building a brand. Our first client which is one that’s very near and dear to our hearts, getting us off the ground is a company called Behance. MR: Near and dear to my heart as well. JB: Yeah, Behance is one that we’re incredibly proud of the relationship that we had with them and so the trajectory of them ultimately being acquired by Adobe. 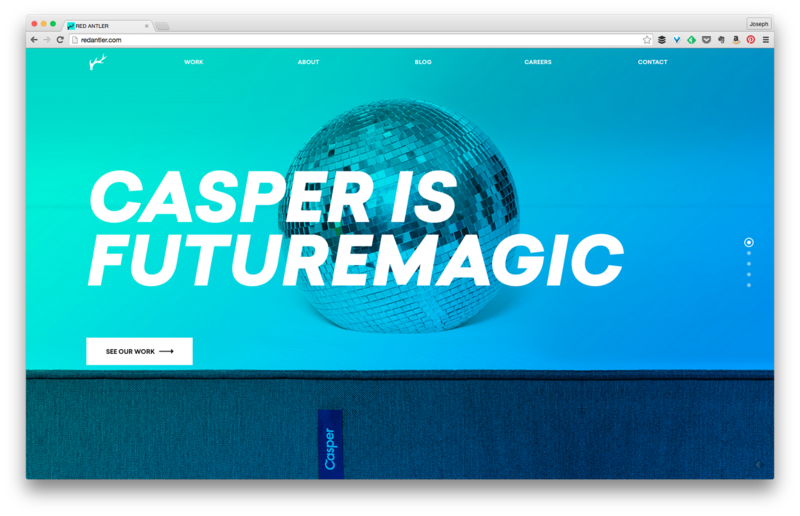 I think some other ones that we’re really excited about at the moment Casper is a business and a brand that our team is incredibly proud of. Their growth and our partnership in working with them, I’m a proud owner of Casper and I sleep very well at night. MR: You slept on it last night. JB: You look very energetic today. JB: I’m feeling pretty energetic today. MR: Did you guys come and put the name for Casper? I know they had originally a different name and changed it? JB: They did. We did not come up with the name but we definitely strongly encourage Casper as the solution. We thought it was a really great name and I think one of the biggest struggles that teams have when you’re building a business is being comfortable taking risk and the name Casper is something that there were mixed emotions about whether it’s going to be a great name or not great name. MR: Maybe like too cutesy, not serious, not technical. JB: Yeah. There’s like, “Okay, there’s Casper the friendly ghost. Is that a good thing? Is that a bad thing? He’s friendly. He’s fluffy. I think it’s a good thing.” Ultimately I think it’s having the faith that you can build something that embodies, build a brand that embodies the name so it stands for something entirely new. “Brand Items” that RedAntler designed for Casper. MR: I want to go back just the client list for a second and just make sure because you guys have an amazing client list. Just read off a couple of the other names you mentioned Behance and Casper. JB: Yup. A few others would be One Kings Lane, Birchbox, Vevo, Foursquare, Sugarpova. Really exciting business we launched with Maria Sharapova. We worked with Tyra Banks. Actually those have been incredibly exciting opportunities. I think what I’ve learned from especially working with Tyra and Maria is the just absolute rock star ability of people that are performing at that level whether it is in sports or it’s in fashion and beauty. I’ve never seen people that work harder. JB: What’s the bigger challenge? 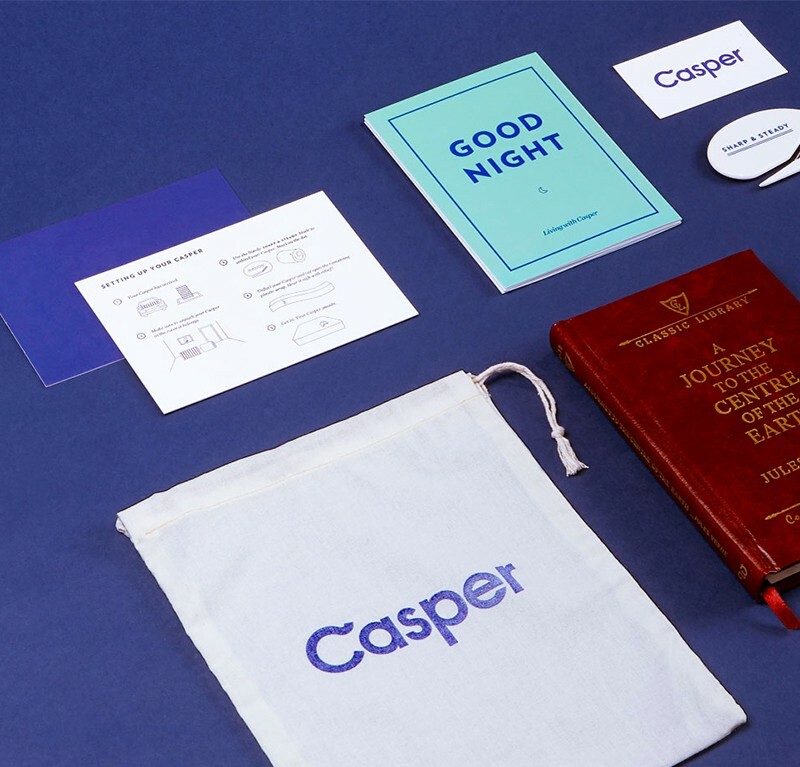 Is it when a company comes to you that is early as I imagine Casper was when they got started, how do you even sold the mattress yet? Right? Versus someone like Tyra who’s got a brand already or companies who already have a business and a brand and how do you address those different stages of a business or personality? JB: It’s a great question. Both are hard in different ways. I think when you’re working with early stage company you have the challenge of wide space and you’re navigating what could be the right thing without knowing really anything, right? You have to get people aligned. I think the challenge in that scenario is just getting people to the place of confidence to believe in the thing they can create and aligning different personalities. If you think about a founding team most cases you’re getting two, three, four more people coming together who haven’t done something together before. They all had their unique perspectives but you have to figure out how to get them on one page going in one direction together as a team. A lot of what we wind up doing is like therapy sessions. It’s like trying to help people to get comfortable and understand each other’s perspectives and align our vision for a brand and experience and a story. In ecommerce businesses there is a tendency to skimp on packaging, but RedAntler helped Glassfulturn it into a brand-defining touchpoint. At that stage that’s really the challenge that companies are facing and that we’re facing in working with them but it’s incredibly fun because you’re trying to make something new and successful out of thin air. When you’re working with a company that’s later stage it’s different challenges. I think there you wind up facing operational challenges and politics in terms of different teams have been build and you’re starting to have different priorities. The product team needs this, the marketing needs that, the founders are thinking this, then you got tech realities. Figuring out how to successfully build the right brand, create the right experience, navigating different priorities within the company and you’re also faced with the challenge of attachment. Just the emotions of the thing that someone has created and quite frequently people know that it’s not right but it’s very hard for them to understand how far away from it they should move. We have to help them work through a process to imagine the possibilities and to see where things could go to get to that better, stronger place. MR: JB, walk us through the process. You meet a prospective client, you have a sit down, you understand what they want. Where does it go from there? JB: Yup, we typically have a really interesting dialogue in helping people figure out what the right thing to do is because most people that come to us are asking for the wrong thing. They are thinking of it in terms of a final deliverable like, “Hey, we need a new website,” or, “Hey, we need a website.” When in reality that’s one piece of a broader puzzle. The first step is usually getting aligned around what is the right way to approach it and what’s going to be successful. I think something we take really seriously is if we’re going to engage to the company we want to do what’s in their best interest that’s going to actually work not the thing that’s going to make us money. We’re always starting by figuring out, “Okay, how do we approach this? What is this ultimately going to roll out to in terms of the customer experience, the marketing experience, sales experience,” making sure there’s a plan to get from the beginning to the end not that we map all of that out but making sure that we’re on the same page of what it’s going to take to get there. Then, once we’ve figured out the process and approach and figure out a proposal of what’s the time it’s going to take, what’s the cost it’s going to take and then figure out a relationship structure from there. 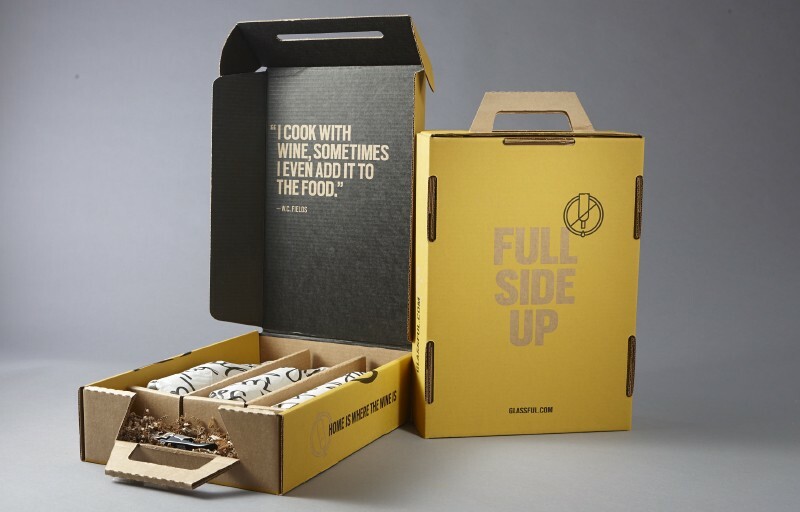 Birchbox turned to RedAntler to refresh their brand. JB: Outside of clients that you had, what are some brands in the world that you just think do a fantastic job of communicating with their customers? What are the elements of that brand that just really resonate so when you look out at examples of great brands what do you guys look to? JB: Apple is a brand that I think probably 90% of people that walk through our doors if you ask them what brands they admire they are going to say Apple. MR: Is that because just the products are so damn good? I mean, did the products make the brand or does the brand go above and beyond good product? JB: Yup, that’s a great question. Ultimately I think in Apple’s case brand and what they stand for and their values is what’s driving product and experience. If you ask someone who’s a big Microsoft fan they probably tell you that Apple products aren’t that great or someone who’s really into Android and Google it’s like, “Is Apple the best technology?” That’s up for debate but they create products that are beautiful and it’s a great experience like unboxing an iPhone is something that is a magical experience. How that extends through the advertising that they do, the campaigns you see, their website, the way they detail product features. They are ahead of the game on everything they are doing and I think that’s the piece that that’s what builds to create the brand experience. They are doing all of those things really well and it’s incredibly hard to do that. We see all the time companies are doing a couple of the things well but those things that you missed could be the really critical things so whether that’s emails you’re sending out. So many startup struggle with sending great email marketing, whether it’s transactional emails, marketing emails, promotional emails, that’s a channel where you’re having a direct conversation with someone. MR: Right, yet the copy of that email every word, the look and feel, the graphics, someone is going to spend what? A nano second reading that email and I mean I remember some of the Apple emails I’ve received that have, “Hey, it’s on its way.” It builds enthusiasm. JB: Yeah, you read it. MR: By the time you open it. JB: Yeah, I think it’s also that how do you actually get people to read it. I think it’s really about having that vision and also getting beyond features and functionality. Something that great brands do really well is know what they stand for. An interesting one in the startup world as an example and I think there’s been a lot of different opinions about the brand and there was a very dramatic announcement of it which got a lot of reactions would be Airbnb. What I think is really interesting about Airbnb as a case study is that they know they stand for something bigger than renting rooms or renting an apartment or house. They know that they stand for community and experiences and shared experience. That’s something that’s so powerful and mean something to their users and VRBO was around for a really long time but no one is talking about them. I think that’s because they are a functional platform and product but they are not a brand. Airbnb built a brand. MR: It’s interesting you bring up Airbnb because I know they just redid their logo I think the look and feel has changed that. They’ve also done a lot of political marketing here in New York in particular around the regulatory challenges. Any sense or perspective on their new campaign? To your point it’s more than just renting a place it’s about the sense of community. JB: Yeah, I’ve seen some TV stuff they did recently and I think it’s really interesting because we’re talking to startups about this all day everyday that you got to figure out what it is you’re really delivering to people. Casper is not selling mattresses, they are selling the experience of how you feel after great night sleep and being a part of something that’s bigger than the product. Airbnb I think is doing a really great job communicating to their community what it means to be a part of their community and the fact that it’s even a community. Thinking about them doing the political all being if you’re coming from a place where your users are passionate fans of what you’re doing and they are a part of it, that’s a really powerful thing that I imagine will really help them get where they want to go. MR: How do you approach a startup that has limited resources, limited operating history and dive in and start creating a brand presence and feel? JB: It depends. What I think it depends on is the category someone is going into, how much they know about who their customers are going to be, what’s going to motivate that person, if you’re launching a mattress company I think out of the gate you know what’s going to resonate in that market. You know the problem you’re solving, you know the existing players and what’s wrong with what’s being done in the category. You can have a small team really early and build something incredibly powerful and if there’s that vision there of where you’re trying to go you can build a brand that creates that road map to the vision. You can have a small team and build something incredibly powerful. If there’s that vision there of where you’re trying to go you can build a brand that creates that road map to the vision. I think that the short way to think about it is like when are you ready to double down because building a brand and doing it at the right way is making an investment and it’s making a bet and it’s doing something that you want to last and help to build your business. If you’re not comfortable and confident enough to do that then you’re not ready to do it. MR: A lot of businesses at the early stage pivot. We see that a lot where they start going down one path, realized the customers saying maybe a little different. Once you build a brand though, have you committed to a particular direction? Can you pivot without tweaking the brand or is it best to go to somebody like you guys once you feel like the pivots are behind you? JB: Another great question. I think that it depends how big the pivot is, right? If you think that you’re one thing and all of a sudden it is a total 180 and you think that you’re targeting urban fashionistas and it winds up that you actually need to go after truck drivers, you might need to take a step back and rethink things. We’re working with companies where everything is changing constantly and the idea of iterations so like on a small scale you got iteration, on a bigger scale you got pivoting, right? Within that spectrum things are constantly changing. The product, features, messaging, you’re testing different targets. I think we try to build brands that span across all of that and create an umbrella that you can evolve and grow into knowing that things are going to be changing. Sometimes things step beyond and you say, “You know what? Okay, this is far enough that we’ve got to take a step back and reimagine it.” I think part of our responsibility is making sure that we’re thinking enough about where things could go to create something that gives you that flexibility. MR: I know that ZocDoc came to you and talked to you about potentially a new brand or a new name and you told them you didn’t think they needed one. Tell me about that. JB: Yeah, that was back in either late 2006 or early 2007 and it was Cyrus and Oliver, the two founders really early on in the business and this is when we were formulating the vision and the future of Red Antler and starting to meet startups and seeing the potential in the landscape. When they approached us they have the name ZocDoc. They are concerned if it wasn’t serious enough are people going to trust it to actually book appointments with dentist and doctors. Our reaction was the thing that you think you need which is probably like findadoctor.com is completely forgettable and you’re going to have to spend so much more money and effort to get people to remember it and care about it. Where ZocDoc is short, it’s memorable, it’s actually doing a lot of hard work and you should just go with it. Yeah, it would have been great to make some money and do a project. Our feeling was that that would have been doing a disservice to the business because they actually had a great name. MR: Do you turn down a fair bit of business? JB: Yeah, we do. I think people are frequently surprised when they contact us and our reaction is, “Well, actually we think the brief of what you’re looking for isn’t the right thing,” and we’ll be the first people that tell them that. MR: If someone comes to you and says, “Look, I don’t have a lot of money but I know I need a new logo or I need a new name.” Will you not do that project for the client or does it depend? JB: I think if it’s an awesome team with a great idea and we see potential in collaborating in the thing that we can create together, we’re always down to get creative. I think we want to build great relationships and work with teams where we have a passion behind what they’re creating and our instinct is to get creative and get flexible when it makes sense. MR: I know that in order to get creative at times you’ve taken equity in some of these early stage companies as part of compensation for the work you guys do. Has that been a good thing for you guys? Do you recommend it to startup founders to consider equity whether it’s for you guys or any services as one way to pay for those things? JB: Yeah, do I recommend that as a blanket statement? Definitely not. Do I think it can make sense with the right partners at the right time? Absolutely. I think it facilitates a couple of things. One, there’s the cash reality of any business and something I talk a lot about with people who are not with an agency world, they’re not working with startups, is you’re not dealing with budgets, you’re dealing with bank accounts. There’s a tremendous amount of focus on burn and runway and the reality of getting from point A to point B with the specific amount of money. Equity can be useful as a way to affect timing of when you’re paying for things, how much cash you have to spend to get something done and doing the right version of it versus the version you can afford. I think it can be really useful in that sense. From my perspective I actually think the more interesting part of it is about relationship and doing what we do with companies is incredibly hard, it’s emotional, it’s a difficult, messy, creative process. If you can structure a relationship where you truly feel that everyone is running towards the same goal, that’s a powerful thing. 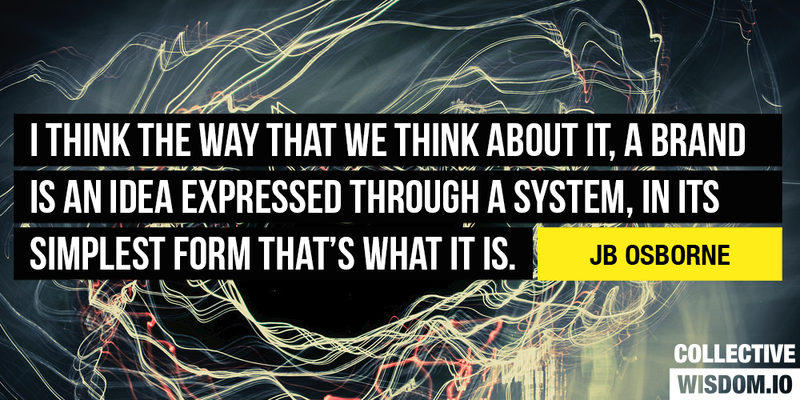 It facilitates hard conversations and it make sure that you’re doing the right thing and not just the easy thing. Across the board I think you’ve got to make sure that you’re doing it at the right time with the right people for the right reasons. I wouldn’t run around throwing equity to everyone. MR: If there was advice you could give to the startup founder in any category who’s get and going and wanted to make sure they did branding right. What would that advice be? They start telling you about features and it’s not about features, it’s got to be about something that is bigger and ladders up to emotions so that people feel something versus you just telling them a functional story. I think understanding that and making sure that you give it the proper amount of your attention as a founder, it’s got to be something that you’re invested in personally in terms of your time and emotion. Because you want to create something that you can be excited about and embody and will build your teams culture, it will help with recruiting, it will help with fund raising, press, everything you’re going to have to do. Giving it the right attention and the right time, the right amount of money. MR: In an era with social media and so many ways for founders to connect with their customers, it seems like authenticity is so important. It seems to me that the best brands really are reflections of their founders. You mentioned Apple before obviously it’s an easy one to con but it really does feel like that brand was built around the culture personality of Steve Jobs. Yet you guys need to make brands for companies that may not have a Steve Jobs like founder. Is it true I guess that the best brands really are … Emanate directly from the founders and that they’ve got to keep the vision and passion and transfer that to their customer base that you can’t buy that in any way or can you? JB: I think what you’re buying is process and perspective and a great brand does come from the founders because there has to be a set of values, there has to be a vision, there has to be a sense of personality and perspective within the company. Then what we help businesses do is if we come in as a third party, we download and understand everything that they’re imagining, what they’re thinking, what they care about, what they feel. Then we pull that apart, put it back together and just still it down to the simplest, most focused articulation of it. Then people react and say, “Yeah, that’s it, that’s what we’re trying to do,” and then we bring that to life. If founders don’t have a vision of what they’re trying to create, we can’t do what we do. Something that I’ve come across, it’s interesting and more on the West Coast than … More on the San Francisco, Silicon Valley, seeing this idea that for brand to be authentic you have to create it yourself. This idea of, “Well, we need to build it within the company and we’ve got designers so we can do it.” From my perspective working with us isn’t outsourcing the problem, right? It’s not about, “Well, we’re going to just have these guys tell us what our brand is.” What we’re bringing to the table is that we do it day in and day out and we have a process to get from point A to point B and know that you’re going to have the thing that represents who you are. The process is incredibly important and also I think the ability to have the perspective and the strategic insight to find that thread across all the things that are important and interesting about a business and its product and its team and its culture. MR: JB, tell us if you could, specifically you don’t have to name the name or it doesn’t even have to be a client but a situation where you think a brand made some mistakes in the process? JB: So many, how much time we got? MR: Yeah, what are some of those mistakes that brands make or companies make when they come to you? I think a piece that is really critical and … I’ll use an example Warby Parker, I think it’s a brand that especially in the startup seeing a lot of people respect, they’ve been incredibly successful and when I look at that business and why they’re succeeding there’s a lot of reasons. I think a really big one is the level of execution, they’re executing really well across everything they’re doing. 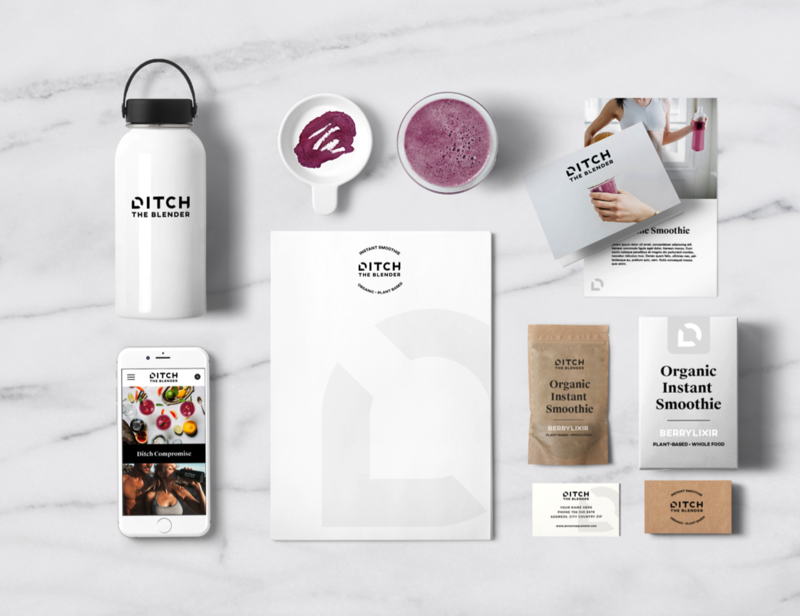 From day one their photography has been incredible, they’ve partnered with the right people to help them do that and they understand that the quality of the content is a direct expression of their brand and their product and the experience. 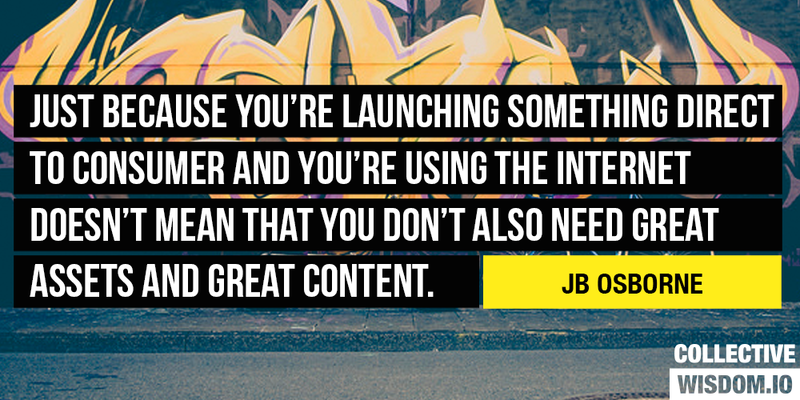 Just because you’re launching something direct to consumer and you’re using the internet doesn’t mean that you don’t also need great assets and great content. MR: JB, how much should a early stage company expect to spend with you guys for branding campaign? JB: There’s quite a range based on the type of business, internal resources, how we’re collaborating across experience and we work on businesses where the brand exist primarily through a marketing site for SaaS product. On the other hand of the spectrum there could be a direct to consumer business with 75 different SKUs of packaging and unboxing and photography, it’s a pretty wide range. I’d say in general it runs anywhere from $150,000 to $500,000 and there’s quite a spectrum in between. More generally in terms of what company should expect to spend on creative services, I see ads on Facebook all the time for a logo for $5, you’ve got that under the spectrum and you’ve got big global consultancies charge millions of dollars. There are very few things in the world where there’s that broad of a spectrum from something that seems like relatively the same. MR: If you don’t have six figures to spend on a branding campaign, would your advice be go to 99Designs or find your buddy who went to art school or a contractor in town or is that a mistake? Would you better off just hack it together until you get to the point where you can afford to hire a firm like yours? JB: I think you have to ask for yourself how critical the brand is to the success of your business and in that scenario in the near term. If your goal is raising around a funding or your goal is getting those certain number of users, whatever the metric is that’s going to define success. How critical do you think building the brand is to hitting that goal? If the answer is, “It’s pretty critical?” then I’d say, “You need to figure out how to get to the best resources you can at the most reasonable cost,” or, “Try to get creative back to the equity conversation like how do you align yourself with someone that can help you make it happen even if you have less budget.” If the answer is, “Well, we can probably get pretty far,” then do what you got to do, that’s the world of startups. MR: It sounds like you can be scrappy about building a brand too. Much like you’re scrappy about pulling a product together, minimum viable product. You can have a minimum viable brand for a period of time, is that fair? JB: Yeah, absolutely, look I think it depends. We’re launching a fashion company, that’s pretty dangerous. MR: The brand is so integral to the company. JB: Exactly but for a lot of other businesses I think that’s absolutely true and there’s companies we worked with, there’s some business we worked with like four or five years ago and what we did for them was pretty focused and limited in scope. It got them where they needed to go and now they’ve raised tens of millions of dollars, have large teams and things are scaling and they’re continually evolving and optimizing the experience around the brand. MR: Some popular logos or brands get panned, right? Whether it’s consumers or even board members who say, “Oh, that’s terrible. Those color stink, that logo stinks,” and yet, I’m sure some of that is your work at times or the work of the founders, you’re not going to make everybody happy. How do you as a founder deal with … How do you stand up and say, “Look, I know this is edgy or different,” sometimes criticism, right? Because as you say a lot of people have opinions, not everybody is going to love it and yet being a brand I think is standing for something. JB: One of the biggest pieces of advice that I gave to the founders and if I’m speaking to accelerator or a ventured, a bunch of venture portfolio companies is that you have to take risk, you have to do something that’s going to make you uncomfortable. Because the future thing, the thing that’s going to be magical in the future probably feels uncomfortable today. The reason that we never recommend people focus grouping logo designs is that what you’re going to hear back is people like the thing that’s most familiar and that’s not actually helpful. Because you need to create the thing that they’re going to like tomorrow. MR: Is the edgier the better in brands? JB: Not necessarily. I think it’s about looking at the category, if there’s an existing category what’s going to be a new conversation to start or if there isn’t anything how do you create that conversation. I wouldn’t say, edgy is a tricky word because edgy means different things to different people but it’s almost like risk for the sake of risk or attitude for the sake of attitude. I would say that what’s important is to do something that’s going to get people to stop and care and engage and that can happen in a lot of different ways. You need to surprise people, you need to pull them in, you need to give them a reason to give you the time of day. There’s so many new things out there and that’s why I think there’s an interesting moment in time to be talking about brand because there’s … We’re joking about this earlier, right, there’s so many funds, there’s so much capital out there, there’s so many founders, like entrepreneur is the new rock stars. Kids are growing up wanting to be Mark Zuckerberg not whoever they wanted to be before. That means there’s more companies launching, there’s more apps, there’s more websites, there’s more products. At any given time there’s three or four or five people doing something that at least looks to be the same thing and in that moment you need to be the one who realizes that building a brand and telling a story and creating a conversation is the thing that can really differentiate you and catapult you to be the leader in that space. MR: You mentioned Mark Zuckerberg and that people are aspiring to be Mark and sort of Facebook. Did he develop a brand early on? Is Facebook a brand or is Facebook really a community that over time becomes a brand because of the community of folks that are sharing content there? Do you think there was an element in brand whether delivered or not that Zuck had sort of imbued about Facebook and then Facebook into? JB: That’s a really interesting question. Something that I’ve been talking a bit about lately is this idea that the landscape is shifted from one where it was all about product to now it’s about brand. If you think about the moment in time when Facebook launched or the Facebook.com, it was really about product. They created something that was different and better and they have this really…There were other people that there’s Friendster, there’s MySpace or other things but the product and the experience is really what pulled people in, as well as the rule out strategy, the fact they went to universities. There’s a lot of things about that story that made it all click. I don’t personally think of Facebook as a brand, I think of it as a platform, a product and I think people sort of probably think of it more as utility and kind of a thing that they just use versus the thing that they have an emotional connection with on a brand level. I think it was possible to launch that way and create a product first approach at that moment and time, I think that’s much harder to do today. You look at a product like Medium, Medium to me is really interesting because I think there’s a very brand lead approach to have the experience and the design and the aesthetic and what it stands for. That’s very different than something like a Tumblr where they launched it was like, “Well, this is a unique platform, a unique product experience and that’s the thing that really lead,” tech lead versus brand. MR: I think also some of it is like I think of Medium, to some extent Tumblr but Medium is curating a lot of that content so they have to be a brand in a sense. Because there’s a voice there of the content they’re trying to get you to read, obviously it’s an open platform. Whereas Facebook really is it feels much more of a total community. Facebook isn’t trying curate your feed but they do a little bit but it’s much more sort of your grass roots what your friends are saying sort of thing. JB: Yup, absolutely. I think we’re currently in the moment of a bit of like Facebook backslash, right? I think people are sort of like, “Facebook I don’t really check it as much,” I’ve had a lot of people make comments to like, “Yeah, I don’t really use it.” I think part of the dynamic that I see in that is they don’t have an emotional connection to it, they have an emotional connection to the people who they are connected on it but I don’t think Facebook itself stands for something in their minds. Join our creative community by subscribing to the Founder CollectiveNewsletter! MR: Maybe Facebook should become a Red Antler client? JB: Maybe, man. I think there’s an opportunity or re-imagining of the future. MR: I think one of the challenges for these brands is that people get so comfortable in a user experience and even colors, even that font in Facebook we can all see it in our heads. The movie Social Network use the same font. MR: I think it’s so engrained. I wonder if it actually gets harder to adjust to your brand and colors and feel and voice when you’re so pervasive in culture? JB: I think that’s an interesting question. I think that it’s harder because it’s a much bolder … It’s a big thing to do, right? You have to do it with purpose and there has to be a reason to do it, you can’t just sort of do it to do it because I think then people will attack you, honestly. If you think about the reactions that have happened when Facebook changes the feed, right, and people freaked out, people don’t like change, period. There’s a reason to talk about change and sometimes that’s a good reason to think about brand. That’s I think when you’re at a scale that you’re no longer a startup, that’s sort of like you’re a big corporation and brand takes on a different type of meaning and what it means to the business and your customers and culture and all that. On a Facebook front they’ve been doing pretty well so all right. MR: If you have a startup idea and want to give the process a shot, reach out to us at info@foundercollective.com. You can also follow us on Twitter at @fcollective or me at @micahjay1. This episode was produced by Joe Mancuso and Joe Flaherty and it was recorded with love in New York City.